A fine art print from an original by esteemed sports artist, Stephen Doig. Printed in A3 format, measuring 11.69'' x 16.53'' (29.7 x 42 cms). Available in a Limited Edition of just 51 prints. 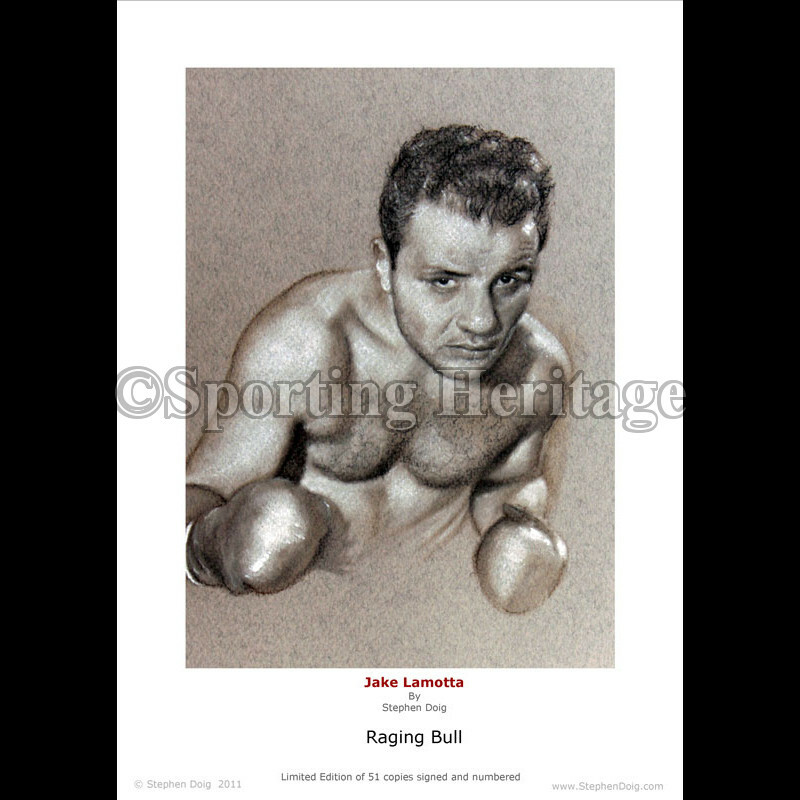 Jake LaMotta Signed 24x36 Movie Poster "Raging Bull"